"I went through things that I never talked about on my other two records." That's all about to change. 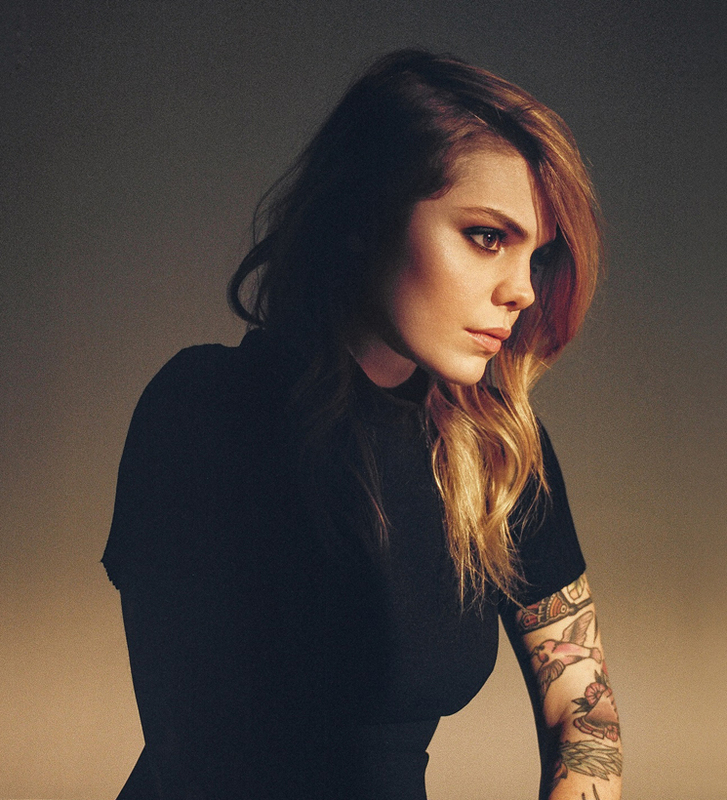 Béatrice Martin, who records as Coeur de pirate, releases her third record, Roses, on August 28 via Dare to Care Records. The 25-year-old, Montreal-based musician sings primarily en francais, yet Martin has been embraced by English-speaking Canada since her eponymous 2009 debut. Roses' most significant departure from previous Coeur de pirate albums is its scope. The songs are epic and beg for massive speaker systems, perfect storms of sound, waves crushing and crashing all around. Perhaps unsurprisingly, water is a recurring theme throughout. "I could always feel myself being drawn toward that movement of the water and one of the first songs that I wrote for the album is called 'Oceans Brawl,'" Martin tells Exclaim! "I was writing the song thinking about a very lonely time that I had facing the Pacific ocean in Tofino, BC, and it was really weird. I had just gotten out of a relationship with somebody who was very drawn to the Pacific ocean and I had to cross the Atlantic all the time, so to have those two oceans coming together all the time, not to sound corny or anything, but for me our whole fighting, our whole relationship not working out, was these two oceans colliding — even though that's not possible — and the rumbling sound of it all." Lyrically, Roses is raw and vulnerable, though not without its joyful, reflective moments. This is Martin's first bilingual record and she's holding nothing back. "All my fears and anxieties and all that crap that humans go through, I didn't face them because I was so busy putting my energy into the boys that had destroyed me and I was so angry and ugh, being vengeful in some ways," Martin explains. "Then I went from this very negative vision of love to a very beautiful one. You have to fight for it and you have to keep it alive and it's hard, but it's beautiful." Roses spans several of Martin's most significant milestones to date. After a devastating breakup, she fell in love with French tattoo artist Alex Peyrat. They were married shortly before their daughter, Romy, was born in September 2012. "This album pretty much talks about this transition of those horrible times, and then meeting someone, and then knowing the biggest love of them all, which is, you know, being a mom and stuff, that's pretty cool," Martin says with a laugh, an acknowledgment of the two extremes of those experiences, and perhaps a bit at the way life changes very quickly in unexpected ways. "I don't think I would have been able to write something like this three or four years ago," Martin says. In fact, she's happy that she's packed so many life experiences into her first 25 years — and not just because it's good for her songs. "I'm glad I did all the growing up too fast, 'cause now I'm good," Martin says. "I don't have to do anything more. It's pretty rough if you're, you know, 40, and don't know where you're going, which is the case for a lot of people in our generation right now. It's normal, I get it, it's fine, it's our generation. But no, I'm glad it happened to me. I needed to be grounded."